The countdowns have begun and some church friends in Austria are already wishing us all a God-centered 2019. If you are reading this in time, we still have most of the day to relax and celebrate the calendar turning the page. It has been a God-centered 2018 and for that we are glad. It was a rich time of worship and prayer as a church family yesterday and Psalm 126 remains as a beacon for us and a prayer heading into the new year. The Lord has done great things for us… Restore us again oh Lord, flood us with your presence. Tomorrow when we wake up we will most likely not be the thinner version of ourselves, or richer, less stressed, or anything else we have on the resolution list. But we will be kept in the arms of Christ. Secure by his grace, made righteous by his blood. And the transformation will come, it is promised. Maybe not in the way we imagine but as we lean into a trust of him, we will be surprised when we look back 365 days from now. Let’s keep rolling on. Let’s keep trusting in Christ’s word and his work. Let’s live in the freedom he has given us for his glory! 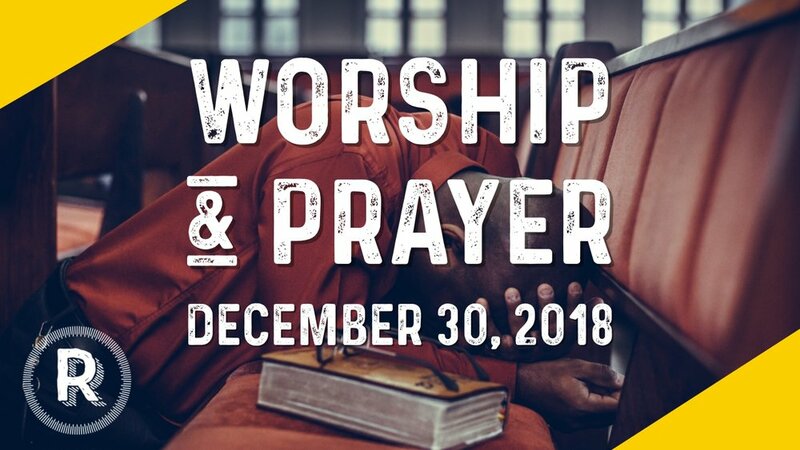 Sunday is our special year-end time of worship and prayer. There will be no Children’s Ministry and we will all sing and reflect on the year together while we look forward to 2019. Buddy Break - A free respite program where kids with special needs (VIP kids) and their siblings make new friends, have fun playing games, hear and see great children's stories, videos, music, and more! Meanwhile, their parents and caregivers get a break from their ongoing care-giving responsibilities. If you are interested in volunteering as a Buddy (training provided), join us for Buddy 101 on 1/12/19 at 10:30am. RSVP to Janice buddybreak@reservoirchurchsd.org. Resolve to Read in 2019 - Have you been planning your Bible reading for the next year? Thought about adding some family devotion time? It is a great time to be thinking of seeking Jesus personally and with others in the New Year. Weekly Prayer in 2019 - We are transitioning from a once-a-month prayer meeting to weekly gatherings on Thursdays beginning January 10 at 7 pm.